Dress rehearsals are held on the Thursday evening before a concert, at All Saint’s Church (unless we’re singing somewhere else), starting at 7.15pm. Please be there by 7pm to get into the correct place. We don’t ‘dress’ for this – warm, casual clothes are fine. For concerts, please assemble at Church House at 7pm for a warm up. This building is at the back of All Saint’s in New High Street. Concert dress is white shirt/ black DJs or dark suit and black bow tie for men; all black outfits for ladies (please no jeans or mini-skirts). It can be cold in the church so ladies may want a jacket or shawl. We always wear a buttonhole for concerts and these are handed out at Church House before the performance. 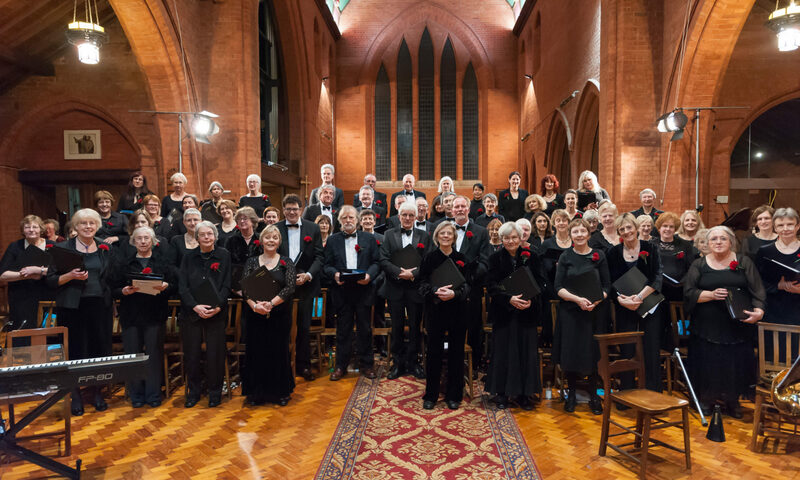 At the end of a concert please put your scores in the boxes at the back – then head to the pub …Do join us at the Britannia (corner of Lime Walk) after rehearsals – there is always a group of regulars and new drinkers are most welcome! After concerts we invade the Butchers Arms in Wilberforce Street.